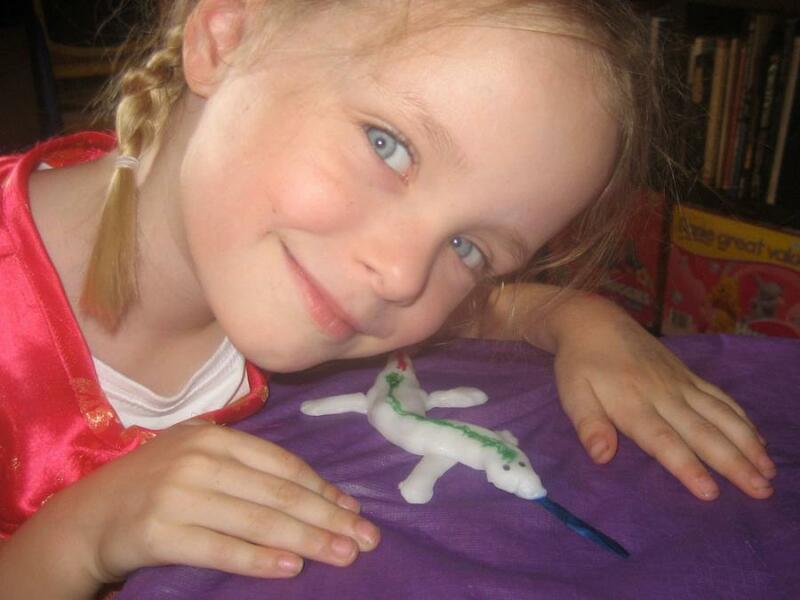 Talia made a blue tongue lizard out of clay, but sadly it fell on the ground and shattered. 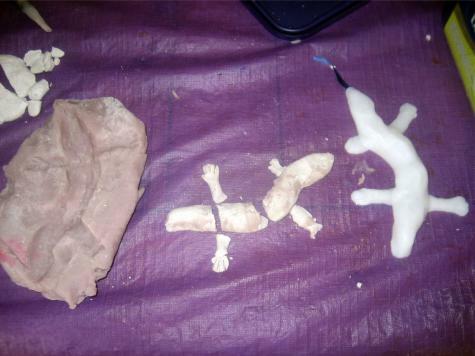 Her dad saved the day by casting Plastimake into a Playdough mould of the original clay model! Talia had made a lizard from clay, and fretfully waited all day for it to dry so she could paint it. But disaster struck when it slid off the table and shattered on the floor. She was terribly upset. Using home-made Playdough I took an impression of the assembled pieces. I then carefully pressed Plastimake into the Playdough (complete with ribbon tongue). 5 minutes later I had a wonderful copy of her original lizard. She was very happy. She coloured it with permanent markers. Best of all the Plastimake version is strong and durable enough for a energetic 5yr old to play with. Her lizard's name is "Memory", and it is to remind her of our pet blue-tongue lizard who passed away a few months ago.